by Tatiana V. Torstensen- 490 pgs. 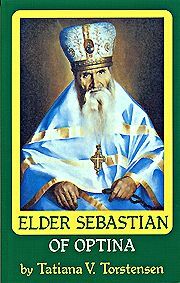 Elder Sebastian (1884-1966) was forced to share the lot of crucified Orthodox Russia. He was arrested in 1933 and sentenced to ten years of hard labor in a concentration camp. He emerged a man who could instill deep peace into the souls of his spiritual children, enabling them to rise in soul above the dehumanizing atmosphere of soviet society. "This life enriched our minds and souls with a true example to follow in these days when we do not know when we will be called upon to defend our faith in small or big ways."